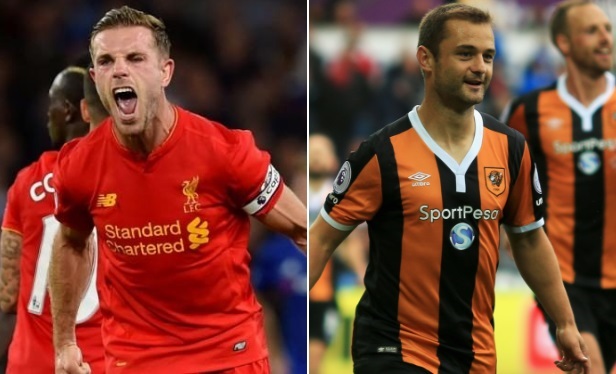 Liverpool Visited Hull City in the Premier League game on Saturday for a crucial league game. Jurgen Klopp team were looking for their first win in the league this year and they starter stronger dominating the ball for most part. But it was Hull City who took the lead at stroke of halftime thanks to first ever goal by Alfred N’Diaye which came after a rebound fall nicely for him. 44′ 1 – 0 Alfred N’Diaye scored just before the halftime with a close range finish to make it 1-0 for Hull City as Liverpool struggled to break down resilient Hull defense. Liverpool has hit the speed bump since turn of the year and they only won 1 game in the last 9 matches and that too was against lower league side Plymouth in FA Cup. Since than they have been knocked out of League Cup, FA Cup and pretty much out of the title race trailing 9 points to leaders Chelsea. If Liverpool drop points again this weekend we will be calling at crisis. However Liverpool will take heart from their performance against the same side which they beat 5-1 earlier in the season. However recent history suggest, Hull City often get the better of Liverpool. Their past 5 meeting has ended in 2 wins and 2 draws for Hull City and a solitary win for Liverpool back in 2012-13 season. Daniel Sturridge is likely to miss-out while Firmino to lead the attacking lineup alongside, Lallana, Coutinho and Mane. This is how I expect both teams to lineups on Saturday. Match Predictions: It won’t come as surprise to many that this Liverpool side has covered the most ground in premier league this season and we can expect another fast start for Liverpool. Hull City need to be able to cope with relentless pressing from Liverpool and if they can get through the first half without conceding they might just have a chance against this highly agile Liverpool side. However I am going with a comfortable win for Liverpool in this one. 17′ 1 – 0 Adam Lallana scored just inside first 20 minute to put Liverpool in lead. 29′ [ Red Card ] Ahmed El Mohamady got his marching orders at half hour mark and made things even more difficult for Hull City. 36′ 3 – 0 Sadio Mane scored in 36th minute to pretty much settle the tie. 51′ 3 – 1 David Meyler scores for Hull City which proved nothing more than a consolation goal. 52′ 4 – 1 Philippe Coutinho scored yet another wonder strike from outside the box. 71′ 5 – 1 James Milner made it 5 for Liverpool to wrap things up against helpless Hull City side. Come on you red men !